New Jersey Deer Control® prides itself on being experts in the field. Our owners, as well as each highly trained spray technician, are very knowledgeable in the biology, physiology and behavior of the white-tailed deer. When servicing your property, we blanket your entire landscaping with a fine mist of our product. In many instances, we try to cover the perimeter of the property as well, including all entry points and commonly used trails, to remind the deer that your property is “off limits”. Our knowledge, along with our management strategies will not only protect your landscape, but often times will help lessen the deer traffic in your yard altogether. We service properties on a strict spraying schedule and we always recommend year round coverage to ensure maximum protection. Our service is necessary in the summer as new plant growth constantly appears and just as crucial in the winter when deer’s natural foods are scarce. Most of our clients use the service on a year round basis which consists of a four week schedule for most of the year except when we switch to a more aggressive three week schedule during the plant growing season from mid-April to early August. On the other hand, if you only request the service for certain times of year, we can offer a seasonal spraying schedule as well. The actual number of applications will depend on when you start and stop service for a specific season. 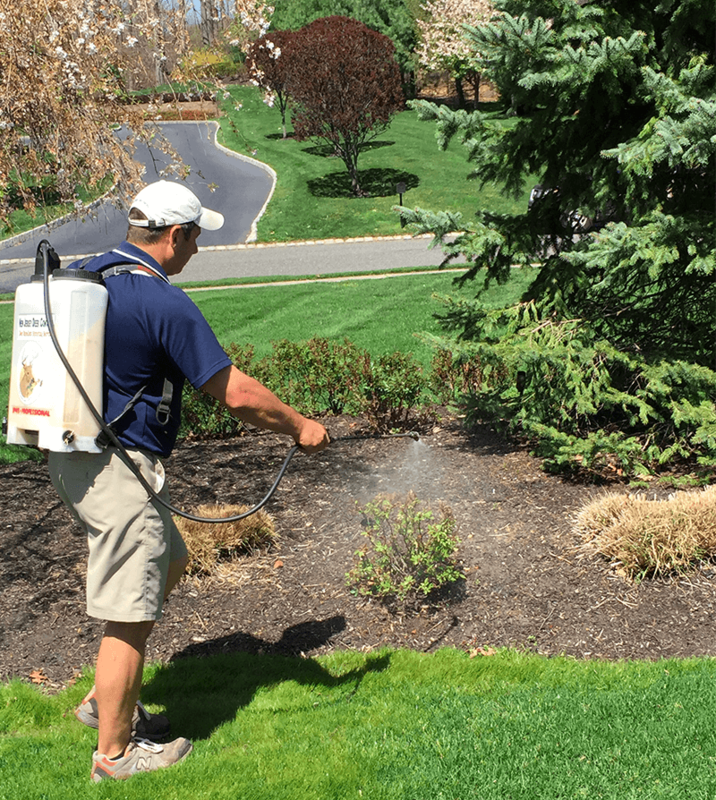 Our spray technicians are thoroughly trained by New Jersey Deer Control® owners. Each tech gains extensive plant knowledge while learning about important deer habits and proper spraying techniques.